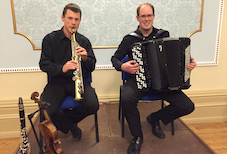 On Saturday 19th September Paul Chamberlain (accordion) and Michael Haywood (Sax, Violin, Clarinet) took part in National Chamber Music Day which aims to bring music to the general public in a wide variety of settings. 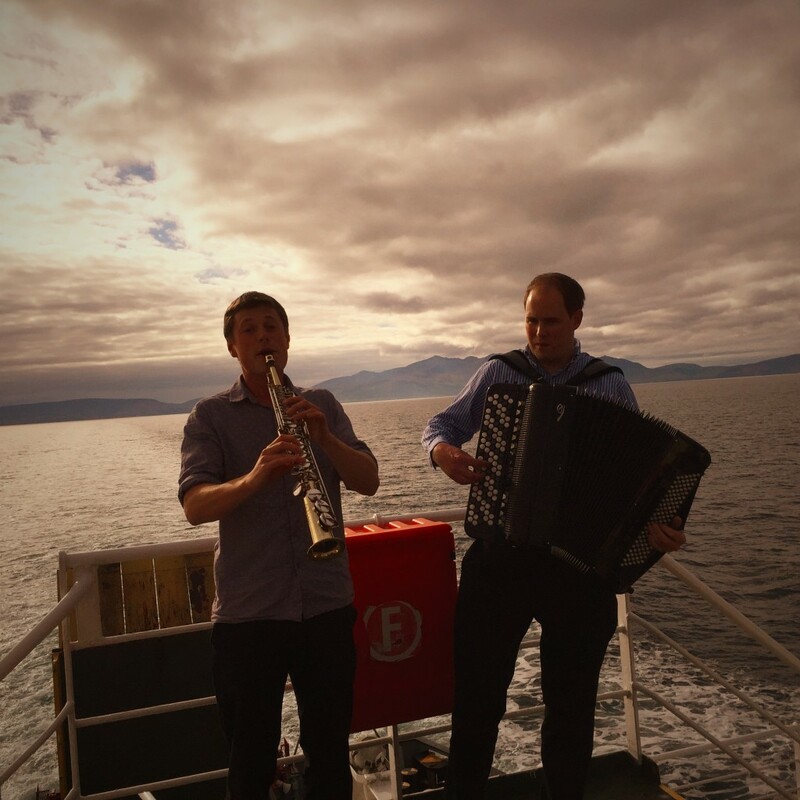 Organised by Enterprise Music Scotland ,their destination was the Isle of Arran on the west coast of Scotland. They performed in ‘Little Rock’ Cafe, and then gave a concert on the ferry crossing from Brodick back to the mainland.